Given the great cultural diversity present in East Timor, few of these cultures have been thus far anthropologically well documented. Specifically three groups that have been thoroughly studied: the eastern Tetun, the Marobo Ema, and the Mambai. David Hicks provides a number of ethnographic accounts on the eastern Tetun (See 1976, 1984, 1985, 1986, 1987, 1988, 1989, 1990, 1997, 2004). Brigitte Renard-Clamagirand has produced a number of anthropological writings on the Ema (a.k.a. Kemak) of the Marobo region (See 1971, 1972, 1975, 1980, 1982). Her study is one of the first ones and somewhat ahead of her time that highlights the significance of origin houses in indigenous social organization and calls the Ema a ‘house society’. Elizabeth Traube provided a beautifully written and thoroughly analyzed account on the Mambai culture from a diachronic perspective (See 1980 and 1986). The following cultural notes focus on my own field research area, the Atsabe Kemak from the Ermera district. This ethnographic material is so far unpublished aside from Molnar (2004) and highlights certain commonly encountered features of indigenous cultures of East Timor. Kemak social organization places great emphasis on founding villages and with their associated founding ancestors. Origin groups are associated with specific founding villages. The origin groups consist of a number of named source houses. Neither local categories of social organization--origin group or source houses (origin houses)—can be equated with the anthropological categories of clans and lineages. Source houses are social groups whose membership crosscuts such categories as descent, marriage alliance, and residence since these all can be used in a variety of ways for claiming membership in a source house. Renard-Clamagirand also refers to the Marobo Kemak as a house society. 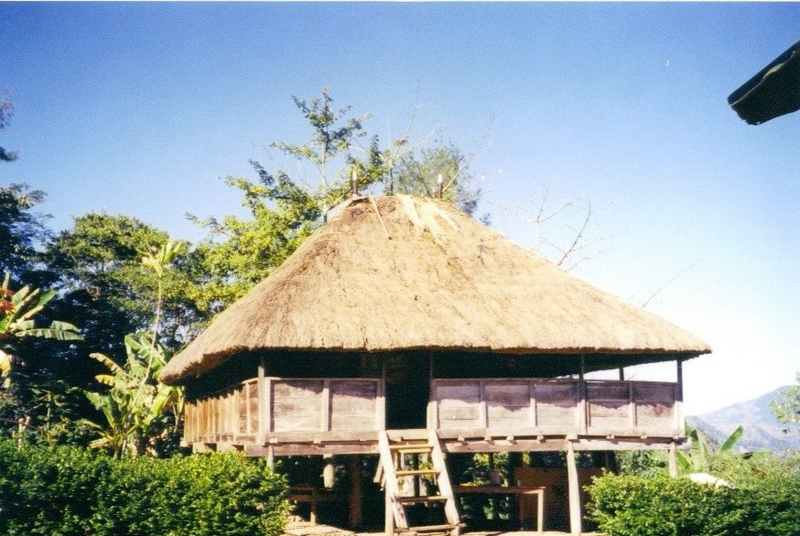 While the Atsabe Kemak show slight variations with and even greater complexity than the social organization of the Marobo community in Renard-Clamagirand’s (1982) study, the basic units of social organization –the hierarchically ordered named source houses—are also at the core of Atsabe social structure. Another, neighbouring cultural-linguistic group, the Mambai, also show similar patterns of social organization (See Elizabeth G. Traube 1986, Cosmology and Social Life: Ritual Exchange among the Mambai of East Timor). The hierarchical ordering of named source houses and social relationships are with an orientation to both place and ancestors. Named source houses are also the focus of asymmetric marriage exchanges. The source houses were the basic anchors of the highly complex nexus of alliances that united the former kingdom of Atsabe. Marriage alliances also forged inter-ethnic ties, namely with Aileu Mambai, and the Bunaq and Tetum groups of the western part of East Timor. Kemak alliance relations with these two latter groups also extend into the Atambua region of Indonesian Timor. These alliances are still strongly maintained, particularly among those groups that fell under the political authority of the former kingdom of Atsabe. Aside from source houses located in specific villages, East Timorese place a great value on their sacred houses, uma lulik, which are generally located in the origin village. When such a village is relocated the first house to be built is the uma lulik. Sacred ancestral heirlooms are stored in the uma lulik. 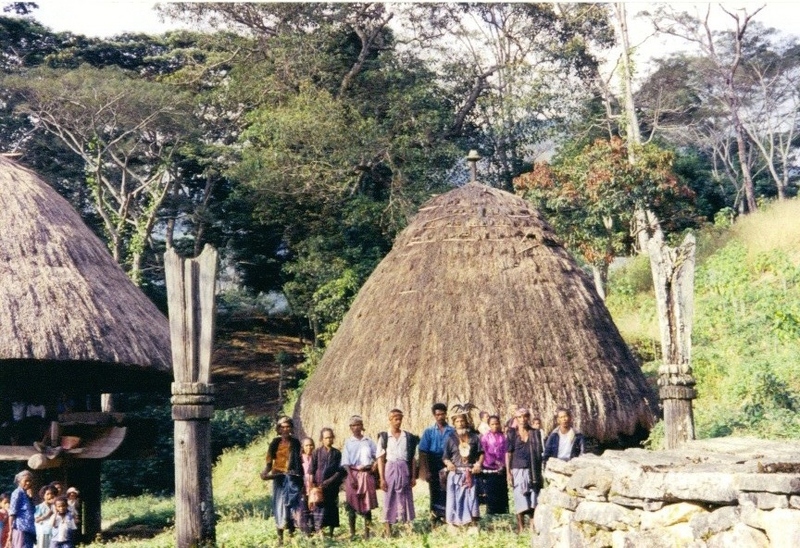 During 2002 there was a fervent effort to rebuild sacred houses that were destroyed and ransacked by the militias during 1999 throughout East Timor. The East Timorese identify three different styles of uma lulik which they roughly categorize as representing the cultures in the western, central, and eastern parts of the country. In Atsabe this categorization was explained as follows. In the eastern part the sacred house stands of tall 2+ meter posts, in the central part the uma lulik is round and has a domed roofing, in the western part the house is more rectangular in shape. In Atsabe both the central and western styles of uma lulik can be found. In Atsabe, uma luli, is usually the founding house of a group, the most senior house, also called the uma pun (source house). Its sacredness is conceptualized as bansa (hot) since it houses the sacred (luli) ancestral heirlooms and objects (siak). Siak can only be taken out of the house in a ritual context where drops of sacrificed animal blood are sprinkled on them. Uma luli has a number of significant divisions and all luli objects are on the back wall, on the soro tete side. There are also two doors; the main door and one on the left side of the house, a small door that leads directly into the soro tete. This door has also been referred to as the female door, and interestingly in some instances, as the door by which God should enter during ritual. The front partition of the house holds the hearth as well and it is the soro rema. When facing the back wall the hearth is in the right hand front corner of the house. There are many posts on which the house lays, but the four main posts at four corners of the inner house are the most inauspicious in the uma luli. The central post is actually part of the back wall. It is on this post that the sacred heirlooms are hung on a pronged rack. The main hearth stone must face this central post. Also during harvest ritual corn is taken inside the house and placed against this post. 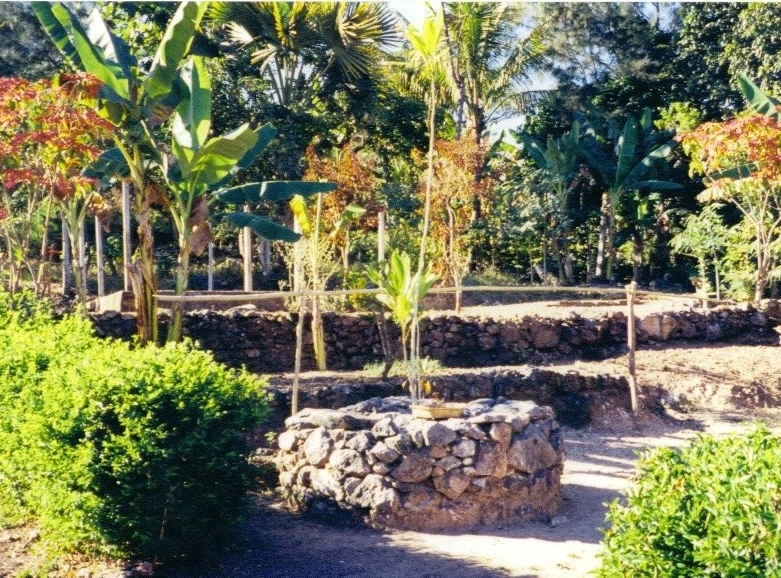 Other sacred objects in the Kemak Atsabe village include the granary (uma lako), a stone platform complex (menaka or also called acu boso) for the gathering of elders during rituals and a live sacred tree that is part of this complex (referred to as bugas buci, bugas miak, or biar lalu). The live tree(s) supposed to provide protection from all illness and misfortune for all members of an origin group. The most significant menaka for Atsabe Kemak is the one for the entire village which is the central menaka and is spatially related to the uma luli; since it represents the unity of the grouping of related houses in the village. 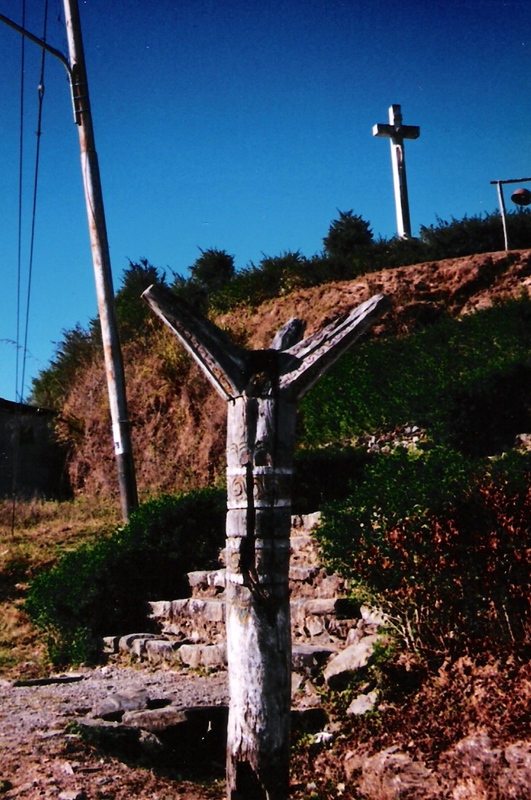 At the center of the menaka stands the aitos, carved post with human head. Named source houses are the basic units of marriage exchanges and thus the basic anchor of the highly complex nexus of alliances. Marriage is with the exchange of bridewealth and counter gifts. Bridewealth are goods given by the group of the husband and counter gifts are goods given by the group of the wife. Many East Timorese find the giving of bridewealth a heavy economic burden. Indeed, during 2001 in some public hearings and consultation towards the prospective constitution, a common theme that the villagers expressed was the wish to legally standardize or even abolish bridewealth. Amongst the Atsabe Kemak, bridewealth (elir) consists of buffalo and large male discs (part of the ritual attire of males). The counter gifts include pigs and textiles. The amount of each of these depends on the status of the families and origin houses engaged in the contraction of marriage. For example, a high status person, such as a member of the Koronel Bote’s (liurai, king) group of Tiar Lelo, bridewealth is usually 30+ water buffalo (brau) and 30+ large male discs (cumara bote) -- the counter gift include 30+ pigs (ahi) and 30+ traditional textiles (tais). Common people will have a lower bridewealth and counter gift ranging from 12-15 buffalos/male discs and countered with 12-15 pigs and textiles. The counter-gifts are always the exact number as the number of the items in the bridewealth, it is truly reciprocal. The delivery of bridewealth to the uma mane (wife-giver) is referred to as tau elir. Small bridewealth is referred to as elir ana, meaning that the number of buffalo and male discs is small. When the number of items is in the teens then it is called elir bote. The size of the bridewealth is proportional to social status of the houses and associated responsibilities of these houses in the hierarchy and political organization of the former kingdom of Atsabe. Thus, the greater the status on the scale of social hierarchy, the greater the size of the bridewealth. It is claimed the bridewealth size cannot be negotiated but is specified by the wife-giving house (uma mane). Only the time of delivery of various parts may be negotiated. Parts of the bridewealth are referred to as: pahe ama no amar teha muna nesi inara he teha, teha cumara teha brau ina no ana cumara pae gulu. These are the parts for the bride’s father, mother, elder brother and younger brother. Nowadays, part of the bridewealth may be substituted with equivalent money (osa). The traditional political organization among the East Timorese centered on the complex network of marriage and kinship alliances within kingdoms and chiefdoms as wells as between such autonomous domains. As mentioned earlier, Portuguese attempts of reorganizing the political structure, met with only ‘surface’ success. East Timorese conceptualization of power and sources of legitimation of authority were also important aspects of this colonial failure. Next I discuss Atsabe Kemak cultural notions concerning power and authority. Legitimation of power and authority for the Atsabe Kemak has many layers and must be viewed in a historical context of dynamically adopting and grounding external forms of authority in local Kemak concepts of legitimate power. Power is an aspect of overall social organization of the Atsabe Kemak—of all social and kin relations. Local discourse and understanding of power is also embedded in the overall cultural knowledge system and is propagated and reinforced through a variety of symbolic means (cf. Foucault). Thus it is not simply the executive power of a leader or leading group. Furthermore, local discourse or knowledge system continues to change and is continually generated in dynamic response to historical processes and experiences (cf. Bourdieu). Traditional sources of legitimacy are not mutually exclusive. Legitimacy derives through a hierarchy of precedence in terms of being able to claim direct derivation from founding ancestors, ancestral origin places and houses, the possession of luli (spiritual potency possessed by people or through possessing ancestral objects that are imbued with it), marriage alliances to groups and their houses that can claim a more direct derivation from sources of origins and possession of spiritual potency, the sponsoring of major rituals and looking after the welfare of those under one’s power and authority. The importance of luli in Kemak conceptions must be emphasized here. Sacred objects (luli) of a group are used to legitimize the authority. The concept of luli in the local Kemak culture of the Atsabe subdistrict refers to potent spiritual force or power associated with certain places, objects or persons (see also, Hicks 1976:128; Hull 2001:236; Renard-Clamagirand 1982:302; Traube 1986:142-3). Thus, even places, persons, and objects associated with the Catholic Church are viewed in this sense; they are luli. Indeed who has luli and the amount of it have direct implications for legitimacy of power and authority in a given circumstance. Indeed what traditionally legitimized power of Tiar Lelo, and thus the koronel bote, were the sacred objects from the sky of the founding ancestor. Luli derives from the ancestors but the degree and amount of it is also hierarchically ordered. The koronel bote had the greatest amount. Legitimacy is also derived through political alliances. That is sub-chiefs, village and hamlet heads (rati, nai and dato, respectively) also derived legitimacy through the power of the koronel bote or rather through the recognition of their authority over their smaller domains from the ruler of the Atsabe kingdom. The Atsabe kingdom was governed through the authority of Tiar Lelo group (cluster of hierarchically ordered origin houses) that ruled over Obulo and Boboe domains. These groups of hierarchically ordered origin houses, in clusters of villages and hamlets had their rati, nai and dato, tended to be the secular leaders of a group and were in some places complemented each with a ‘sacred man’ or leader (gase ubu) of a group. Sacred men derived their power and legitimacy through descent and ritual knowledge as well as their role as holders of sacred history and lore and as imbued with sacred power more so than the secular leaders (except the koronel bote). Their domain of authority however tended to be in the ritual realm. Secular leader and sacred man were not always mutually exclusive and the same person could occupy both positions. Legitimacy of the Atsabe chief was continually reaffirmed through his and his group’s maintenance of traditional ritual system of the domain, by sponsoring and contributing to large-scale rituals in a manner befitting status and wealth, thus maintaining and enhancing their spiritual potency (luli). Furthermore, legitimacy and position in the social hierarchy was also valorised by the koronel bote group’s continuation of strategic marriage alliance; the exchange system of women and material goods; as well as the mobilization of an army to put down challenges to his authority in the context of local feuds and headhunting. Such local feuds tended to emerge, according to oral history, as a result of perceived disrespect for positions in the social hierarchy—whether in terms of personal insults or insults towards groups during bridewealth and other gift exchange negotiation, due to land boundary disputes, or transgressing against local customary rules. During the Portuguese period (which for Atsabe is only relevant from the mid 19th century-on) legitimacy of power in Atsabe also incorporated certain elements from the outside through re-interpretation of these from within the context of local Kemak conceptions of power. The Portuguese government and army also served as a source of power and prestige for the ruling families. The Atsabe Kemak described their relationship with the Portuguese in terms of their own traditional political organization. In these conceptions the Portuguese were seen as another koronel bote (or “king” of a domain) that had much the same type of authority as the local ruler had over the lesser domains, chiefs and village heads. When resistance to the Portuguese failed, in local interpretation the Portuguese were viewed as a higher power chief that had a larger army and their own sacred men with luli (spiritual potency) in the form of Catholic priests. The Portuguese were viewed as possessing greater spiritual potency. The Portuguese also had the ‘sacred objects’ that legitimized their power in the form of flag and staff (much like the sacred ancestral objects of Tiar Lelo that are considered to be the most powerful of all ancestral objects among the various groups of the former Atsabe domain). Through these objects the Portuguese transferred potent power to the local ruler from the Atsabe Kemak perspective. Portuguese recognition of a local chief as a figure of authority for a domain also further reinforced the koronel bote’s legitimacy. Therefore, during the Portuguese period the legitimacy and thus the spiritual potency of the local ruler were enhanced by these external aspects of power that came to be grounded in local conceptions. Aside from the flag and staff, learning the language of the dominant power, Portuguese, and thus education (to be able to read and write), as well as affiliation with the Catholic Church became sources and indeed symbols of legitimacy of power. Thus, for the Atsabe people (both elite and ordinary), the ways the Portuguese ‘legitimized’ power for the koronel bote, had more to do with local views of spiritual potency—through enhancing and adding to of spiritual potency of the ruler via the ‘sacred objects’ and through the eventual links to the Catholic Church. The initial toleration and subsequent acceptance of Catholicism introduced by the Portuguese was also viewed in terms of adding to local spiritual potency (luli), or rather, enhancing the local luli with an even more powerful ‘external’ luli. The Atsabe ruler gave land to the priests to build their chapel and residential units, allowing them to undertake their missionising and conversion activities. This was no simple act of generosity, or a successful conversion to Catholicism, but a strategy that would harness the spiritual potency of the Catholic Church and thus further enhance the luli power of the koronel bote and therefore further legitimize his power and authority. The Catholic priests, in turn, were grateful to the chief, and viewed his actions in terms of those of a champion of the new faith. They continued to reaffirm the chief’s power and authority, and indeed protected the Atsabe people against harsh treatment by their own Portuguese colonial officials. These protective actions of priests and nuns were also viewed as part of harnessing the power of the church and adding it to that of the koronel bote. As mentioned earlier, the fulfilment of duties towards subjects legitimizes the right of the ruler to his position of authority – thus an aspect of the overall Atsabe worldview that to have rights one must fulfil duties. The secular part of the Portuguese colonial government on the other hand only supported and acknowledged the koronel bote’s legitimacy if it served their political ends. The access to education by the political elite and their extended kin of the traditional Kemak organization during Portuguese times also ensured that they became the administrators and thus people in power after the Indonesian invasion. While the Atsabe Kemak do not view the Indonesian government as enhancing their legitimacy and potency of power and authority in the same way as during Portuguese times, their authority continued nevertheless to be sanctioned through both traditional and new state sources. As mentioned earlier, the same traditional leaders and their kin held positions of subdistrict head, village head and other civil service positions such as being teachers. The enduring authority of the koronel bote and his kin group however was challenged quite openly during the latter part of the Indonesian occupation. 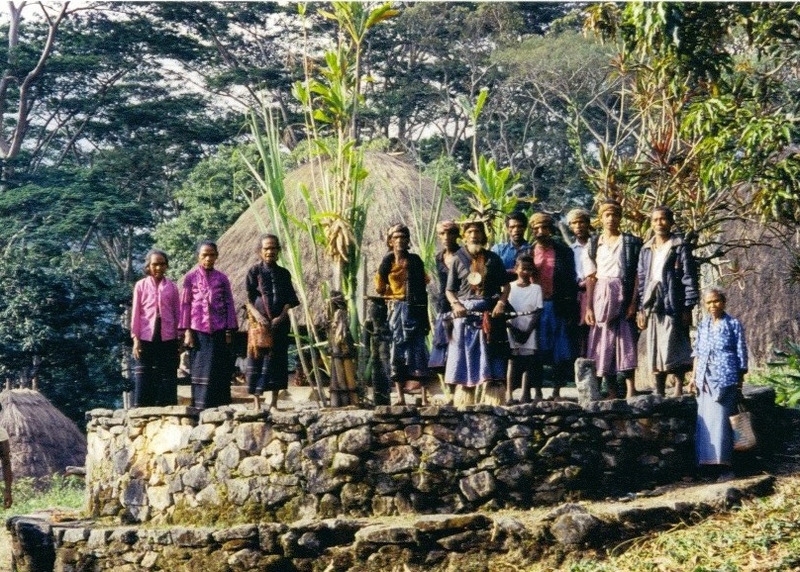 According to local accounts by members of the koronel bote’s kin group, jealousies of the economic advantages that were aspects of their political position (as village and subdistrict administrators and as family of the second governor of Timor Timur province in the Indonesian system) precipitated the attacks on the family of the koronel bote, his Tiar Lelo kin group, as well as villages (origin houses) with the closest of affinal allies by pro-Indonesian militia in 1999. Therefore, these attacks were economically motivated during the Indonesian system. However, another aspect of these attacks was emphasized to a greater degree by the ordinary citizens; namely that the koronel bote’s family did support the freedom fighters, albeit in a clandestine manner. Even in the current environment of new nationhood, the same jealousies of this group and their continued prominence of positions of authority continues to be challenged through attacks (both in terms of material wealth and murder) putatively by the Kolimau 2000 group (see Molnar 2004). In this new context, however, economic jealousies are offered by both the elite and ordinary people. As a possible explanation for the outbreak of violence in Atsabe people will not talk about the elite. Only when it is pointed out to them that the attacks did seem to target these groups to they offer and economic jealousy explanation. The ordinary people utilize the concept of ‘equality’ in ‘democracy’ which they misunderstood from the United Nation’s socialization programs in an almost communist (or at least Marxist) sense. It must be emphasized however, that the ordinary folk do not condone the actions of a group that they consider as a threat to the safety of not just to elites but the entire community. While the elite will talk about this issue by utilizing the same economic notions and concepts from the UN socialization programs, they will stress capitalist interpretation suggesting that in a free democracy everybody has equal rights to participate in the economy with the sweat and labour of their own efforts.